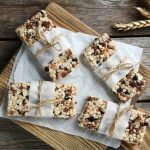 Whether served for breakfast or for a quick snack, you will definitely enjoy these popcorn bars! They’re really easy to prepare and offer a unique way to satiate your hunger! 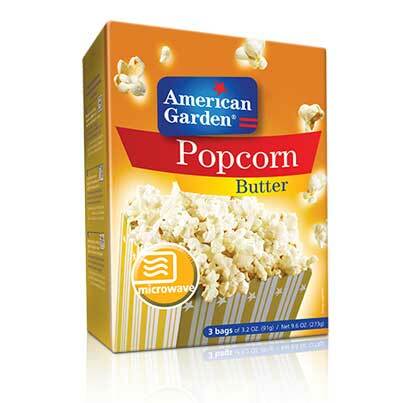 1- To prepare the popcorn, place American Garden microwave popcorn pack in the microwave according to the instructions. Put them aside in a bowl. 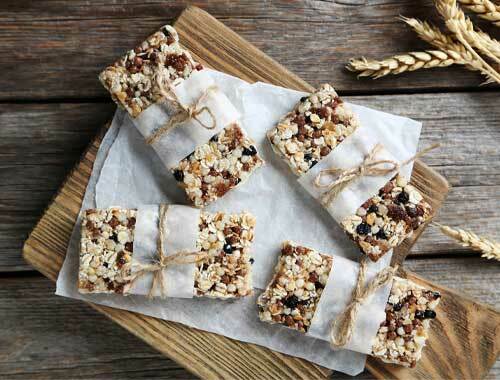 2- Spread the oats and almonds in a baking dish and lightly toast in a preheated oven for 5 minutes. Add to a mixing bowl along with 2 cups of popcorn, the dried cherries and the chocolate chips. 3- To prepare the caramel: in a saucepan over medium heat, melt the butter then mix in the sugar, honey, vanilla and salt. Stir constantly until the mixture boils and sugar dissolves completely. 4- Add the caramel over the popcorn bowl and stir until all ingredients are coated. 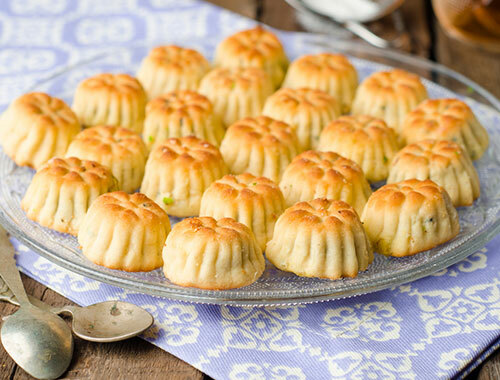 Press in a greased baking dish and refrigerate for 2 hours. 5- Cut into bars and chill before serving.